The church in West Virginia is working to make sure that everyone in need has a nice Thanksgiving. Parishes and Catholic organizations around the state are organizing outreach services that will ensure the holiday is enjoyable for all. Carol Bailey, Southern Regional director for Catholic Charities West Virginia, said that great efforts are being made in the south. 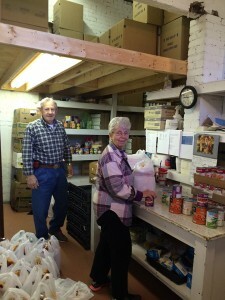 A total of 117 Thanksgiving food baskets, complete with turkey and all of the trimmings, were to be distributed at the Loaves and Fishes office in Hinton Nov. 21. Another 125 Thanksgiving food baskets were distributed Nov. 19 at the Sacred Heart Food Pantry at Sacred Heart Parish in Bluefield. Volunteers at the Sacred Heart Food Pantry at Sacred Heart Parish in Bluefield prepare Thanksgiving food baskets for the less fortunate. Young people at St. John the Evangelist Parish in Summersville are sponsoring a “Meal of Thanks” on Thanksgiving Day from 10:30 a.m.-12:30 p.m. The dinner will be for families in need as well as first responders and health care workers on duty. 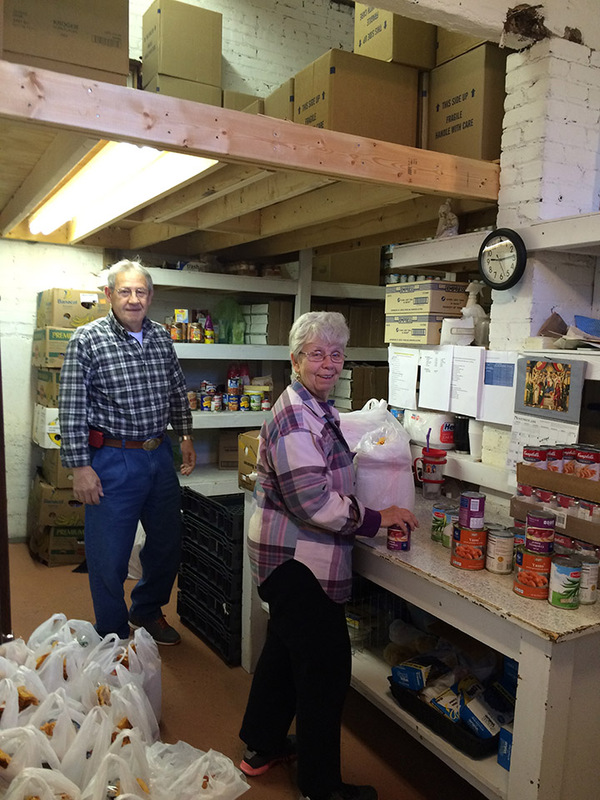 Assumption of the Blessed Mary Food Pantry, a shared ministry of St. Peter Parish in Farmington and St. Patrick Parish in Mannington, is currently collecting food for its Thanksgiving outreach and is in need of green beans and mixed vegetables. Many people at this time of year, said Helen Harris of St. Joseph Parish in Martinsburg, may be in need of a place to go for fellowship on Thanksgiving Day. Harris is coordinator of the parish’s Community Thanksgiving Day Dinner, now in its 13th year. Last year, the parish served nearly 1,300 meals to people who were in need but also to those who just needed a place to go for the holiday. This year’s dinner is on Thanksgiving Day from noon to 4 p.m. at the St. Joseph Parish School cafeteria and is being presented in partnership with St. Bernadette Mission in Hedgesville. “It is the one dinner that brings people together from all walks of life to share a special meal on Thanksgiving Day,” Harris said. “Anyone is invited.” She said that people can be in need for many reasons. “There are people in need because they may have just moved to this area or already live in this area and their family may live far away and they can’t get home to see them on Thanksgiving Day,” she said. The dinner is free and open to all. The parish will also be delivering meals to the homebound. Carryout meals will be available from 2 to 4 p.m. For large carryout orders of six or more, individuals are asked to call (304) 267-4893. P.J. Reindel, director of the Catholic Charities Neighborhood Center in Wheeling, said that Thanksgiving is an enjoyable day at the center and that many volunteers are ready to help. The center usually serves between 80 and 100 people on Thanksgiving Day, Reindel said. Much of the help, he said, is provided by students from Central Catholic High School in Wheeling. The center will also be delivering 280 Thanksgiving meals to the homebound in the community. Many other parishes and Catholic organizations will be providing Thanksgiving Day outreach in their communities.